The hand made baskets proved very popular at the Shoreham Farmers’ market last Saturday. 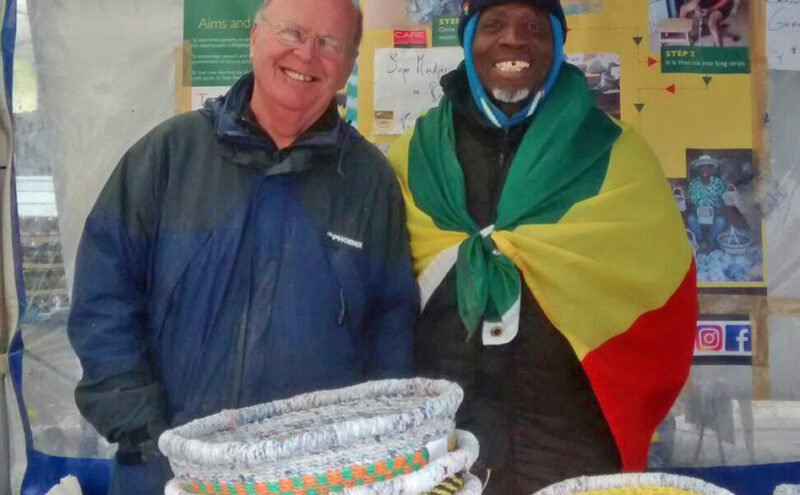 David Newnham (pictured left), former Headteacher of Chesswood Middle School in Worthing, visited the stall and brought some of our baskets for friends and family. David had been an instrumental champion of the CARE organisation for 9 years, before retiring in 2010.